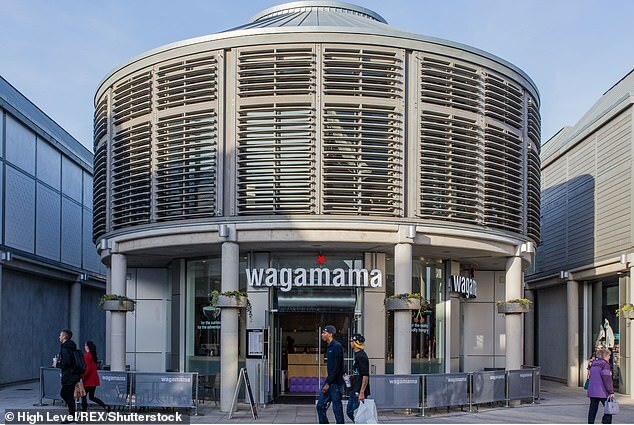 He reckons the shares will recover, but this relies on a hiccup-free welding together of the popular noodle chain to TRG’s existing Frankie & Benny’s and Chiquito operation, as well as realising the planned synergies from the merger. Irvine-Fortescue is a fan of the ‘oversold’ stock, which he reckons is worth 170p. 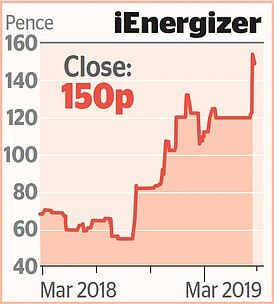 Yesterday it was off another 2.1 per cent, or 2.5p, at 115.4p. He also likes pub groups Fuller, Smith & Turner (off 0.9 per cent, or 10p, at 1135p) and Young & Co (down 2 per cent, or 32.5p, at 1610p), believing them to be more than ‘sleepy family businesses’. ‘With market caps similar to Marston’s, and a supportive industry backdrop, we believe they should be on more investors’ radar,’ the analyst said. Wetherspoon, down 2 per cent, or 27p, at 1293p, is rated a ‘sell’ by Irvine-Fortescue, as it is ‘now trading at its peak valuation’. Turning to the wider market, it was a fairly dour day as the FTSE 100 succumbed to the same jitters that haunted Asia’s main markets earlier on – namely, fears over global growth with a soupcon of the Brexit collywobbles for good measure. The index of blue-chip shares ended the session 30.01 points lower at 7177.58. Goldman Sachs yesterday issued its update on its equity strategy. In this dense 16-pager, it pointed out that in the aftermath of the global financial crisis, returns had been ‘flat and skinny’. Its strategy team reckons the best shares to buy are those in businesses generating boat-loads of cash that are therefore able to make bumper dividend payments. Elsewhere, shares in Wood Group tumbled 7.6 per cent, or 41.6p, to 504p after the London arm of the American investment bank Jefferies downgraded stock in the oilfield services specialist to ‘underperform’, describing last week’s prelims as below par and ‘messy’. There wasn’t too much cheer among the tiddlers, as kiosk and display group Space And People tumbled 17.2 per cent, or 2.5p, to 12p after it reduced its full-year dividend for 2018 by two-thirds on the back of disappointing results.